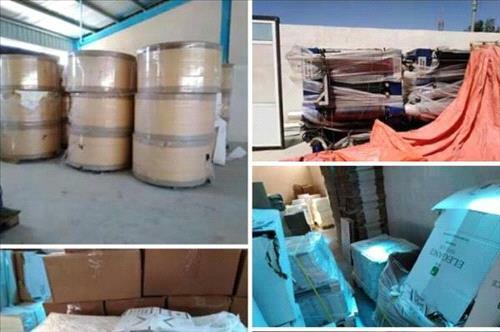 AMMONNEWS - Authorities issued an order banning from travel seven people suspected of being accomplices in a case involving the illegal production and smuggling of tobacco, State Minister for Media Affairs and official government spokesperson Jumana Ghneimat announced Saturday. She said that the government will investigate and follow up on the issue, in cooperation with the security agencies and the competent authorities, and will hold to account those involved in "this case wherever they are, and bring them to justice to receive a fair trial." Ghneimat said all those prevented from travel are holders of the Jordanian nationality, except for one who is a Dutch national, adding that an investigation into the case is underway and that the defendants will be referred to the customs prosecutor when due procedures are completed. Commenting on reports that businessman Awni Mutea, a major suspect in the case, had left the Kingdom, she said the man was found to have departed one day before a raid of four sites in the Zarqa Free Zone on July 11, 2018, adding that the travel ban also includes Mutea's brother and his son. She said the raid by the Customs Department, which was referred to by Prime Minister Omar al-Razzaz in his response to lawmakers' queries during the Lower House's debate of the government's policy statement, had led to the discovery of a warehouse for materials used in the manufacture of tobacco. Customs officers had also raided a site in Rama and found that three companies were manufacturing tobacco there, and seized various kinds of machines, a packing line and raw materials, such as paper and cigarette filters, added the spokesperson. She also said other tobacco-packing and labeling devices, 16 cartons of cigarettes and a truck were seized in other raids. The minister stressed that the government will seek the extradition of any person outside the country involved in this case.